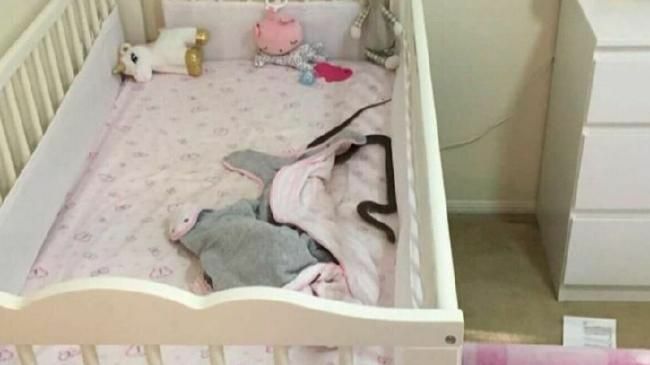 A GOLD Coast mum has spoken of the terrifying moment she spotted a deadly brown snake sliding its way into her four-month-old daughter's bedroom. 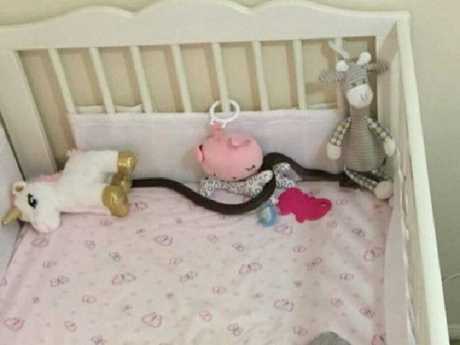 Aleisha Mitchley had taken her daughter Sophie out of her cot less than an hour before she spotted the metre-long snake at the bedroom door. "I don't know if that's why she was unsettled, I don't want to think about it," Ms Mitchley told 9News. "I couldn't believe it can climb, so it was climbing on through the window. It was up around the bassinet, in her cot, it was all over. "It was petrifying, I was very scared, I didn't know what to do. I'm trying to reach for my phone and stop my son from trying to go see the snake." Queensland residents are being warned to be on high alert for eastern brown snakes - especially now that it's mating season. Eastern browns are the second most venomous snake in the world. Tony Harrison, from Gold Coast and Brisbane Snake Catchers, previously told news.com.au eastern brown snakes were much more common than locals realised. "They're everywhere in the Gold Coast. I catch a couple a day so people need to be more aware," he said. 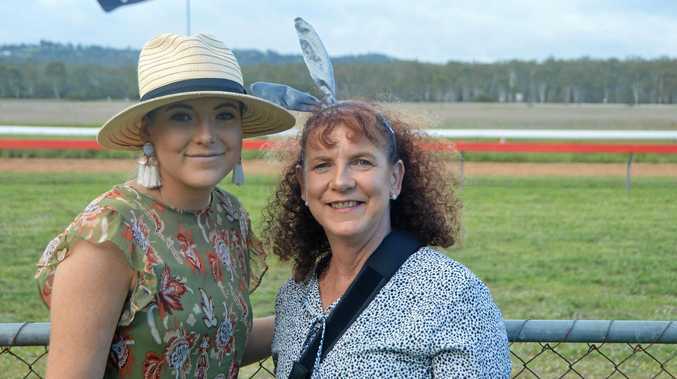 The brown snake visit left Ms Mitchley terrified for her children's safety ahead of snake season. "I didn't sleep at all last night," she said. "It was very scary." • Leave it alone - snakes are not likely to chase you if you let them be. • If you see a snake inside, get all humans and pets out of the room, shut the door, fill the gap underneath with a towel and call a professional snake catcher. • If you see a snake outside, call a snake catcher if it disappears into a shed or under a vehicle. • Remember that even small snakes can be dangerous - baby brown snakes have venom right from the egg. • Stick to the trails in parks and reserves. • Keep your yard clear of long grass and rubbish. • Clean up after chooks and control rodents on your property as rats and mice are food for snakes.